↑ 1.0 1.1 "Grímsvötn". Global Volcanism Program, Smithsonian Institution. สืบค้นเมื่อ 15 สิงหาคม 2006. ↑ Njörður Helgason (2011-04-14). "Vegurinn um Skeiðarársand lokaður". mbl.is. สืบค้นเมื่อ 2011-05-22. ↑ "Iceland's most active volcano erupts – Europe". Al Jazeera English. 2011-05-21. สืบค้นเมื่อ 2011-05-22. ↑ "Iceland volcanic eruption 'not linked to the end of the world' | IceNews – Daily News". Icenews.is. สืบค้นเมื่อ 2011-05-22. ↑ "Volcanic Ash Advisory at 1241 on 25 May 2011". Met Office UK. สืบค้นเมื่อ 25 May 2011. 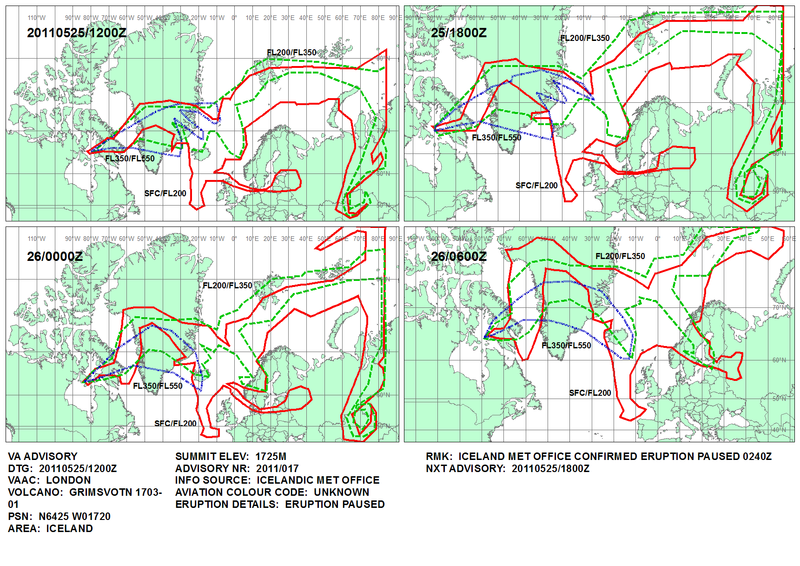 ↑ "Iceland volcano ash: German air traffic resuming". BBC News. สืบค้นเมื่อ 25 May 2011. ↑ "Update on volcanic activity in Grímsvötn". Iceland Met Office. สืบค้นเมื่อ 27 May 2011. หน้านี้แก้ไขล่าสุดเมื่อวันที่ 22 กรกฎาคม 2561 เวลา 21:41 น.